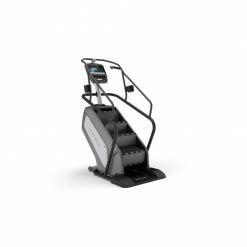 The Technogym Artis Climb is an excellent cardio machine suitable for users of all levels. 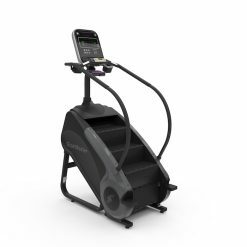 It offers a fantastic workout that will push you hard to reach your goals and give you real results. 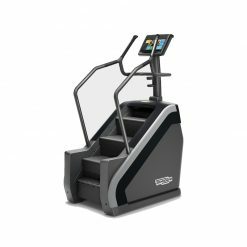 The Technogym Artis Climb will forever change the nature of stair climbing, making it easy for first-timers and challenging for advanced users thanks to its state-of-the-art design. Enjoy the high-intensity routines and immersive content on the new UNITY 3.0 console with flat full glass dual-touch display. 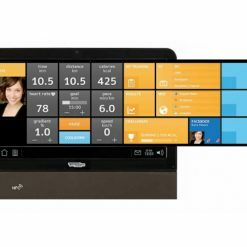 Stay connected via Wi-Fi and Bluetooth, monitor and store your full workout data and keep track of the progress on your Mywellness account. 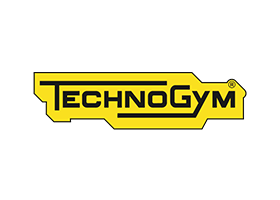 Split step technology: developed by Technogym’s R&D Department, this groundbreaking innovation transforms this stair climber into one of the most sought-after pieces of cardio equipment on the gym floor, thanks to its welcoming design, ease of use and effectiveness. 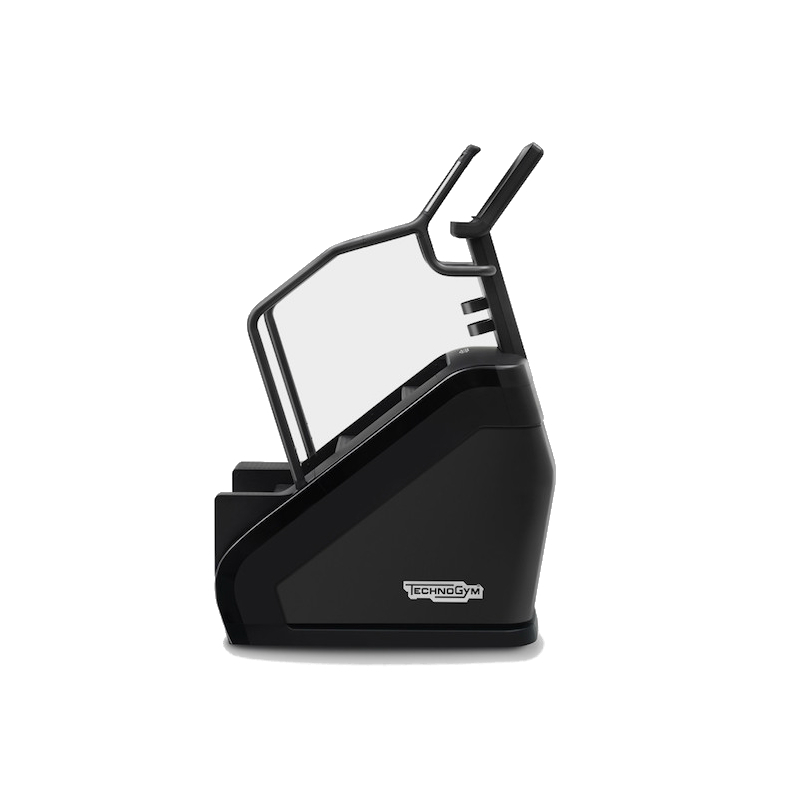 New tray/smartphone holder: integrated into the display, it is easy to reach from any workout position. Smallest footprint: the widest climbing space within the smallest footprint — only 1 sqm/10 sq ft — making room for many happy users. 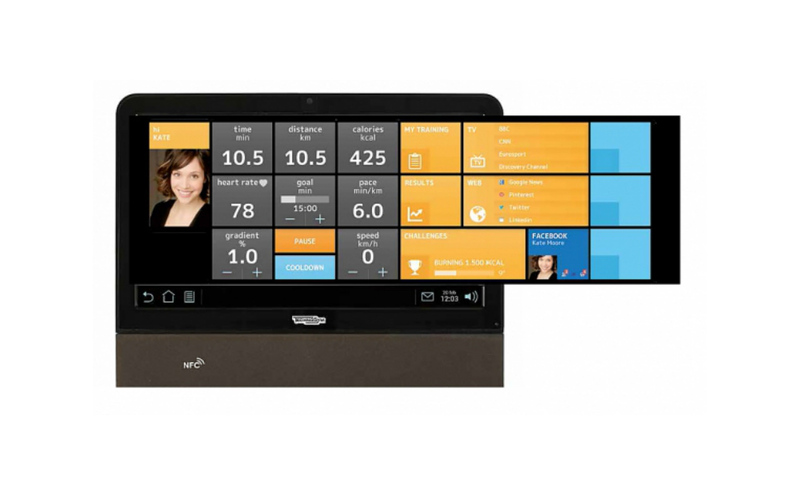 Flat full glass dual-touch display with built-in webcam: seamlessly integrated into the console and featuring a built-in webcam for live communication, the display is the hotline solution to connect members with their friends outside the club, to chat and share their workout.